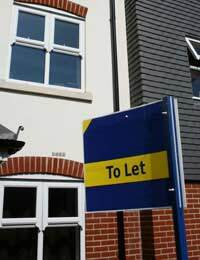 According to recent published figures, buy to let landlords are being hit hard by the recession, and have been losing their hard-earned properties at three times the rate of other home owners. Figures for repossessions released in June 2009 by the Council of Mortgage Lenders highlighted the fact that 1700 buy-to-let landlords had to deal with the stress of having their properties repossessed in just the first three months of 2009. A further 4,100 properties were lost when landlords failed to pay the mortgage on properties that they owned, and a receiver of rent had to be appointed. What is a Receiver of Rent? More receivers of rent have been appointed as the recession begins to take hold. A receiver of rent is somebody appointed to take the rent on behalf of a landlord who has defaulted, and the process of appointing somebody to do this means that the tenant is safeguarded from being evicted through no fault of their own. This process also gives a struggling landlord a chance to decide what they are going to do with their property, while still receiving the rent, which can help to reduce any arrears that have built up on the mortgage account. In the first three months of 2008, this happened to 300 landlords, and 900 properties were repossessed – but in the same period of 2009 there was a massive rise in the numbers of receivers appointed. The figure increased to 2,400, meaning that there were a higher number of these appointments than there were buy to let repossessions. Lenders are Also Getting Tougher on Mortgage ApprovalsIt’s even more difficult for buy to let landlords these days, as not only are the banks getting strict with defaulting home owners, but they are being especially miserly about who they lend money to in the first place with the buy to let landlord seemingly being targeted as an area to cut down. Figures from the financial comparison company, Moneyfacts, showed that when property was booming back in September 2007 there were 3,662 different mortgages available for people seeking to buy to let. Last month the choice of buy to let mortgages had dropped by a staggering 94% to just 218 available mortgage options. Just to make things even harder, these mortgages were harder to obtain unless you had a large deposit. If you’re looking for a buy to let mortgage in 2009 you’d better have a deposit of around 25% to be in with any chance of getting your loan approved. The first thing that you need to do is accept that you are struggling and resolve to take some action. The Government is telling lenders to give people who are struggling in the current economic situation some leeway, and they can’t do that unless you tell them that you’re having problems with your repayments. If you think you are going to have trouble meeting your mortgage one month, don’t wait until you default to explain yourself to the bank – contact the mortgage lender before it happens and ask if they would consider giving you a month, maybe more, payment break. Or see if you can negotiate smaller payments for an agreed length of time. They’re more likely to agree to this if you tell them before the default, and explain that you expect to be able to get back on track after a break to take some of the financial pressure off. If things are looking difficult in the long term, you could get some free debt advice from the Consumer Credit Counselling Service www.cccs.org.uk or the Citizens Advice Bureau www.citizensadvice.org.uk. In some cases, they will also talk to your lender on your behalf and talk to them – and any other creditors you are having trouble paying – to see if a payment plan can be sorted out. The most important thing is not to bury your head in the sand – deal with the problem early and you have a better chance of getting back on your feet quickly. Firstly, you should ask directly what the in-house complaints procedure of your letting agency is and write a letter clearly outlining your grievance. If you are dissatisfied with the outcome you can complain further. Since 2014, all letting agents have been legally required to be a member of one of three government-approved letting agency redress schemes- so you may wish to ask what body they are a member of. If you feel your complaint hasn’t been dealt with appropriately then, you can take your complaint to the redress scheme. Being a member of one of three government approved schemes means the agency is required to abide by its code of conduct. This increases your protection and if your agent has failed to register it could face prosecution. On handing back my property, I found the letting agent had allowed the tenant, (even though there had been regular inspections saying the property was in good order), to inflict a great deal of damage to the property. I had to claim 1,100 pounds from my home insurance company, to make repairs. What steps can I make to seek recompense from the letting agents? Hello :-) Back in 2009 I used a letting agent to find tenants for my flat, they took and secured deposit etc. However the never gave myself or my tenants a copy of the certificate. I am now selling the flat with tenants in situ, and the letting agents appear to have gone bust! I have searched the 3 main schemes but nothing is recorded. I am (grudgingly) happy to reimburse the deposit myself, but am somewhat annoyed and would like to find out if I have any recourse against the directors of the letting agent who seemingly took that money? I have found one of them who has since set up another agency in the area, but funnily enough I am struggling to make contact with him, even just to find out which scheme they used. Does anyone have any advice? Thanks! Re: Tenants and Gardens: Who is Responsible for Maintenance?